LG’s G series phones have been in a weird spot for a little while. Take the G7 for example. It’s a solid phone, but it’s not quite techy or beautiful enough to keep up with Samsung or Huawei’s flagships. It’s also a bit too expensive to really compete with mid-range handsets like the OnePlus 6 or 6T. So for the G8, LG decided to get spicy by testing out an all-new method of biometric security, while simultaneously trying to revive what was until now a long-abandoned gimmick. Not coincidentally, both features are related to the G8's front-facing cameras, which in addition to a standard 8-MP selfie cam, also includes a time-of-flight “Z Cam.” Normally, time-of-flight cameras are used to gather more precise depth info than a normal camera can capture (more on that later), but on the G8, LG is also using it to read your palm. 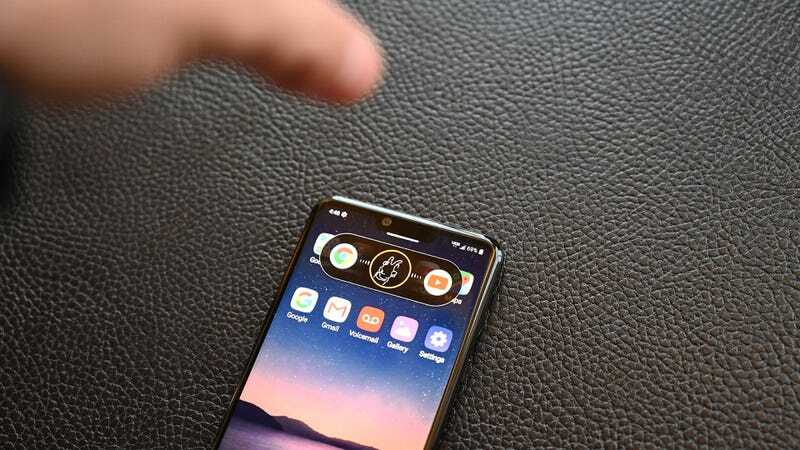 OK, technically, it’s reading the blood vessels in your palm using infrared light so that you can unlock your phone not with your face or fingerprint, but by holding your hand over the G8's front-facing cameras, even in pure darkness. It’s definitely a bit silly, but it’s also unique, and it makes you feel a bit like a magician, because with a simple gesture and an optional “Abra Kadabra” there’s now one more potentially super secure way to access the device. But that’s not all the Z Cam can do, because it can also use its depth-sensing powers to track your hand’s movements so you can open apps, pause or play music, and even adjust the volume with a few wags of your fingers. For anyone who remembers the Galaxy S4, Samsung tried something similar with its Air Gestures. But on the G8, LG is calling its new interface Air Motion. However, unlike the G8's palm recognition, getting used to LG’s Air Motions requires a bit of patience. First, you have to put your palm over the sensor to active Air Motion, then, for some reason you need to pull your hand back another three or four inches to hit the Z Cam’s sweet spot. From there you kind of need to pretend your hand is grabbing an imaginary bow while letting your fingers dangle downwards toward the phone. Once you get those motions down pat, you can move your hand left or right to open up various apps (which can be customised as you like in settings), twist your hand to adjust volume, or you can even skip tracks or play the next video when listing to music or watching YouTube. Just watching others try to figure our Air Motion is its own kind of entertainment, but the real purpose of Air Motion is for situations like when you’re washing the dishes, and don’t want to completely stop what you’re doing or get soap suds all over the screen just to answer. And while it feels kind of ridiculous when you’re using Air Motions, given an open mind, you can see that there’s potential too. It’s a nifty trick, and when I tried it out on a call, I was hard-pressed to tell the difference between a regular earpiece and LG’s Crystal Sound display. And when you’re listening to music or watching a video, the Crystal Sound display pairs with the G8's bottom-mounted speaker to offer stereo sound of sorts. Elsewhere, LG has enhanced the G8's photo and video abilities with a new night mode that shoots up to 10 photos and then merges together, and the ability to record portrait-mode style clips while also being able to adjust depth effect in the middle of filming. 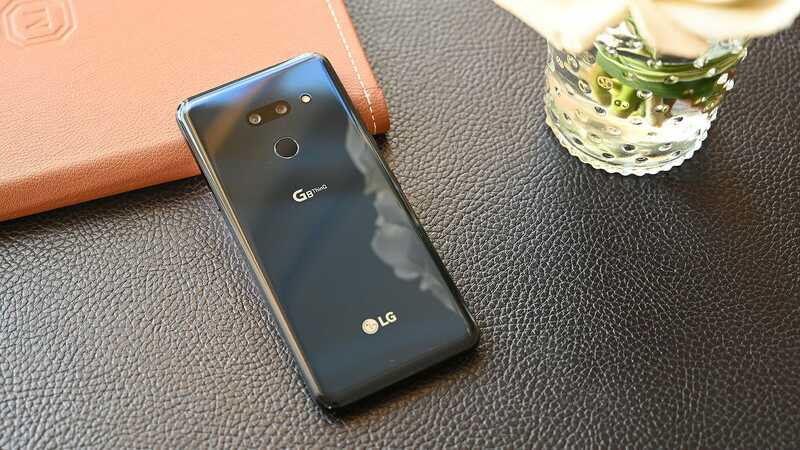 And on the inside, the G8 won’t be hurting for performance or longevity, as the LG crammed in a Snapdragon 855 processor, 6GB of RAM, 128GB of storage, a microSD slot, headphone jack, and a 3,500 mAh battery, which is ever so slightly larger than the 3,400 mAh battery featured in the Galaxy S10. 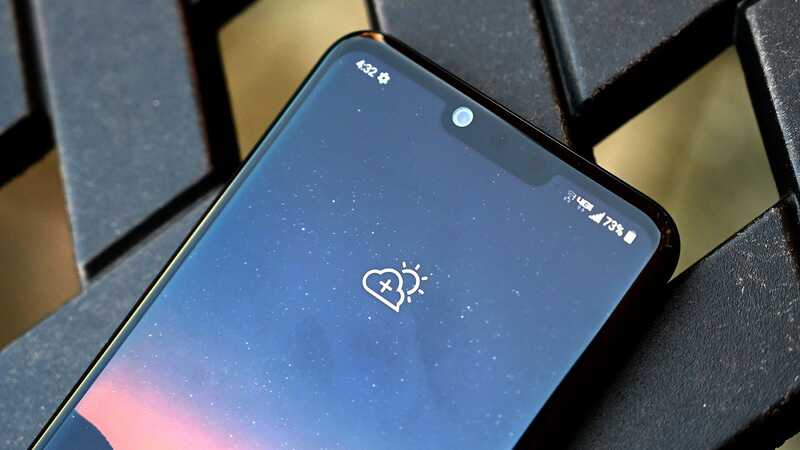 Ok, so the question now is: Will all of the G8's new features be enough to take down the Galaxy S10? Right now, I’m kind of sceptical, as both features feel a bit too clunky to really love. But damn if they aren’t interesting, and even without considering its palm-based biometrics and Air Motion controls, the G8 still seems like a solid device. With a little refining and some second-gen hardware, LG could be on the path to discovering a new identity for its mobile portfolio.